Astrosat, a leading business in Europe’s space exploitation industry, has formed a partnership with Irish start-up DroneSAR-Search & Rescue, to incorporate drone software with Astrosat’s Recovery and Protection in Disaster (RAPID) system. The RAPID system is designed to provide intelligent situational awareness and support in the context of disaster scenarios to aid, inform and support decisions that are made in the operational theater. 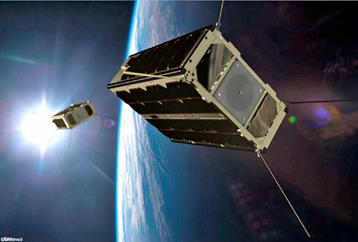 DroneSAR recently won the Copernicus Master Service Challenge European Space Week in Tallin, Estonia. DroneSAR was developed through Donegal Mountain Rescue, who were selected as one of four European pilot tests sites by DJI, a market leader in consumer drone technology, and EENA, the European Emergency Numbers Association. The software was refined based on the results of this project. The company provides software that enables commercially available drones to maintain autonomous search patterns based on waypoint missions or user-defined search ‘boxes,’ reducing risk to search personnel, improving situational awareness and increasing the chance of finding people in distress, all at a fraction of the cost of a SAR helicopter. The software has a Share Location function, which allows pilots to instantly share locations to all team members as the drone flies. 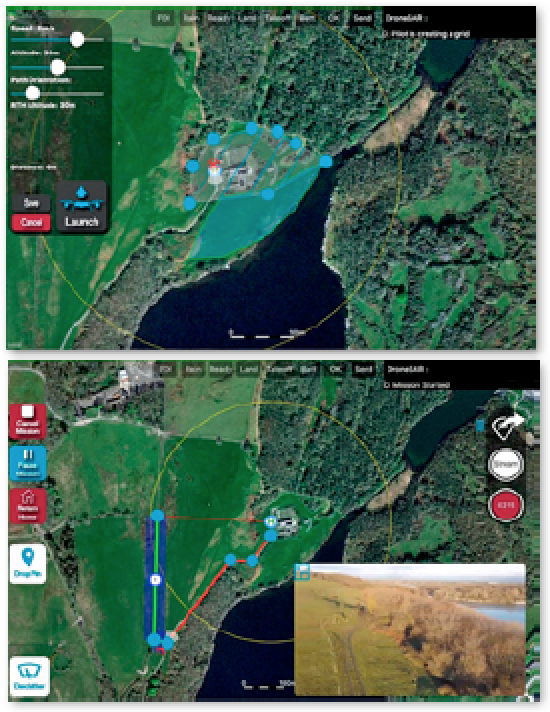 Oisin McGrath, the CEO and Co-Founder of DroneSAR, said that the software, a result of 18 months of development with input from Search and Rescue (SAR) teams across the country, fits perfectly with the RAPID system. Steve Lee, CEO of Astrosat, noted that DroneSAR’s technology befits the firm’s RAPID system. With RAPID’s ability to provide up-to-date mapping images in less than three hours, and the ability to interlace footage from drones, Astrosat is giving first responders the most detailed picture available. First responders receive a greater depth of overview, through the addition of drone footage to the interface. Lee added that the company plans to integrate both platforms to give near-real-time satellite imagery to unmanned aerial vehicle (UAV) pilots and to Command & Control for better informed decision making. Recently released is NSR’s UAS SATCOM and Imaging Markets, 4th Edition (UAS4) revealed that this study provides the industry’s most comprehensive outlook on the UAS market. Building on more than a decade of data and analysis from NSR’s popular Global Military Satellite Communications and Satellite-Based Earth Observation (EO) research coverage, UAS4 provides an exhaustive analysis of UAS markets and the associated revenue opportunities for stakeholders, from satellite operators to geospatial data analytics companies, over the next ten years. 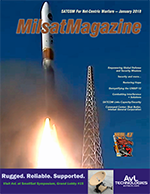 The SATCOM portion forecasts retail revenues, capacity demand and revenues, and equipment sales the satellite industry can expect for both Defense and Intelligence (D & I) and Civilian Government market HALE and MALE UAS, by region and frequency band. The SATCOM portion also includes additional military scenarios (pivots and regional strengths) to build a holistic overview of how the UAS and SATCOM ecosystem will grow in the next ten years. The UAS Imaging portion of the report analyses and forecasts the global market for commercial sUAS services for imaging and analytics applications across five industry verticals and five regions. Forecasts are provided for two additional scenarios, projecting the revenue opportunity for UAS operators engaged in imaging and analytics applications. 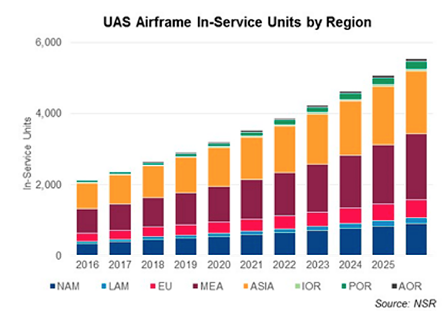 • How large is the SATCOM market for HALE and MALE UAS in the next 10 years? • Which frequency bands will play a key role in supporting UAS SATCOM services, and what will be the impact of HTS? • What is the SATCOM opportunity provided by Civilian UAS industry? • How will various market verticals, investments and regulations impact the commercial sUAS industry? • What is the market size of sUAS imaging and analytics, and how will it evolve in the next ten years? • What are the market sizing scenarios to be considered, and the impact of commercial sUAS imaging industry compared to Satellite-Earth Observation, by vertical market? • What are the UAS SATCOM equipment trends, and which emerging technologies could disrupt this market? 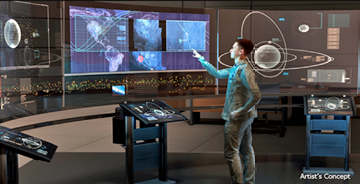 DARPA’s Hallmark program seeks to develop revolutionary tools and technologies to plan, assess, and execute U.S. military operations in space. In its pursuit of these breakthrough capabilities, the program has completed initial research demonstrations and awarded Phase 1 contracts to 11 organizations. Hallmark has also released a Broad Agency Announcement seeking additional technologies for potential inclusion. The Hallmark Tools and Capabilities 2 (Hallmark-TC2) BAA aims to develop and validate additional technologies to complement and augment the Hallmark-TCEM tools and capabilities currently being integrated into the Hallmark software testbeds. The ambitious schedule reflects multiple expanding space programs, a growing commercial space sector and a backlog from 2017. The China Aerospace Science and Technology Corporation (CASC), announced at a conference on January 2 that the nation’s 2018 work model includes 35 launches, underlining the return to flight of the heavy-lift Long March 5 rocket, the Chang’e-4 lunar far side mission and launches of Beidou navigation satellites as the major activities. China aimed for around 30 launches in 2017, but two launch issues — notably the failure of the second Long March 5 rocket — halted activities for 89 days. In 2017 the United States topped the launch tables with 29 (all successful), with Russia second with 20 (19 successful) and China third (1 partial failure, 1 failure). The Chang’e-4 mission will be the first attempt to soft-land on the far side of the Moon and involves first sending a relay orbiter to a Lagrange point beyond the Moon, set to launch in May or June 2018. The mission also includes a biology experiment involving a mini-ecosystem containing silkworm eggs and potato seeds, pioneering astronomy tests, and involvement from Sweden, the Netherlands, Germany and Saudi Arabia. The Long March 5, which successfully debuted in November 2016, is by far China’s largest and most powerful launch vehicle, and is capable of launching interplanetary missions, lifting huge satellites, with a variant being developed to launch modules of the future Chinese Space Station to low Earth orbit. However, the second flight of the Long March 5 on July 2 failed due to an apparent first stage propulsion issue, delaying the Chang’e-5 lunar sample return mission, which was scheduled for November 2017. 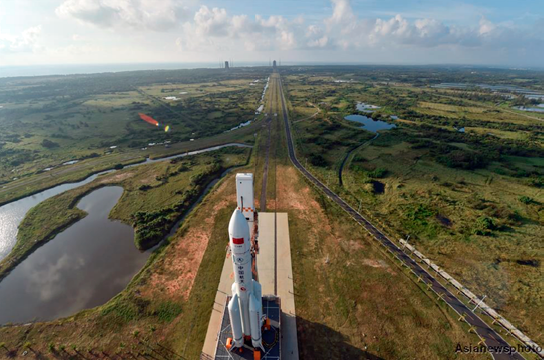 While a launch of Chang’e-5 late in the year was not explicitly ruled out, the omission of information on the mission suggests it will take place in 2019. China’s space activities are typically opaque, with missions sometimes becoming apparent only days before launch, and with no prior official announcement. Expected launches for 2018 include more than 10 Beidou GNSS satellites — China’s answer to GPS of the US — including a number of dual satellite launches to MEO. China had aimed for 6 to 8 such satellites to be launched in 2017, but a partial failure of the Long March 3B rocket in June dented these plans. All four of China’s launch sites,- Jiuquan, Taiyuan, Xichang and the new Wenchang coastal complex — will be in action, with the latter to see Long March 5 and Long March 7 launches.